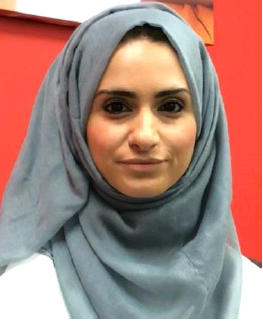 Rawa Hussain is one of the Digital Parent Support Service’s Virtual Volunteer Befrienders. Here she shares why she chose to be a volunteer with Family Action and explains her role and the training involved…. I decided to become a volunteer because I had a very long career break to have a family. I was a paralegal and I have decided to get back into my career. I was looking at how I could become more employable and, as eventually I want to specialise in Family Law, I decided to research family charities where I can volunteer my time. So I Googled family charities and Family Action was one of the first that came up. I did research other charities, but Family Action appealed to me the most. This was mainly because it is such a reputable charity that has been around for nearly 150 years and that straightaway makes you trust an organisation. Also I saw that Family Action had this new Digital Parent Support Service initiative and I thought that’s a great thing for me to be involved with – something new I could offer to other people, using what I had learned through experiences in my life. This was a great starting point for me. When a caller calls the Helpline they first come through to a Helpline Volunteer. They will discuss what problem they have and decide whether they would like to call back or not. If the Helpline Volunteer decides that the person needs more ongoing support, they will refer them to a Befriender, which is someone like me. We will allocate a time when I can call them back and the caller will have about eight to ten sessions with me during which I give them support with the ongoing issue they may have. It could be once or twice a week. The training is really good. It is accessed via WebEx and you are assessed online as well. This was all new to me, so that was very interesting. The trainers make you feel really comfortable every step of the way and Family Action staff are very accommodating to you. They work around you and really make you feel valued and that they appreciate that you have given up your time. You also get a certificate at the end of training, which also makes you feel that what you are doing is really worthwhile. I would tell anyone who was thinking of volunteering to definitely do it, especially if you have time on your hands. People might say “who has time these days”, but it is just four hours of your time every two weeks. Family Action doesn’t ask for it to be every week, but I have offered to do it weekly because I want it to be a regular thing that I am part of. Also if you have gone through a lot of experiences in your life where you feel you can help people, why not? We go through experiences in life maybe for that reason – to help others get through them. Also I would say that if you are going to volunteer anyway, Family Action is probably the place to go because you are not only helping people, but the staff at Family Action really appreciate you. If you are volunteering you may not get recognition in the financial sense at Family Action, but you do get recognition for your time, in their praises and their accommodating to your needs and your time, which is definitely worth it.